One of our big fears came true this week! We received a call from the Assistants that we had 2 missionaries at the airport wondering if someone was going to pick them up. Dave and William jumped in the car and I added to the dinner I was preparing for my family. Less than an hour later we were all sitting down to eat in the mission home. Elder Edelfsen and Elder Holt, ASL Elders that we were expecting September 27th had landed at the White Plains airport with no one to meet them. So sad! Somehow we got the wrong memo from the MTC but it all worked out! These 2 are awesome and quickly forgave us. We enjoyed having them in our home and had a sweet testimony meeting that evening. Dave continues to interview each missionary as we travel from zone to zone. In between interviews we hold zone study. This go around we are focusing on Joseph Smith History verses 1-20. It is amazing! As I have focused my studies on the Prophet Joseph Smith this past month my love and admiration has grown in countless ways in regards to him. Praise to the Man! I love this great prophet who was true and faithful to the calling God gave him, despite opposition every step of the way. He is a man of great moral strength and character. Although not perfect, which he never claimed to be, there were no errors in the revelations he taught. He restored the gospel of Jesus Christ to the Earth in its fullness. 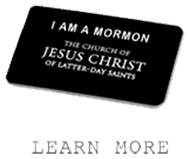 The Prophet Joseph has taught us the true nature of God, given us the Book of Mormon, which was translated by the power and authority of God. I challenge you to pick it up and as you read think "did Joseph write this book or translate it"? I am blown away the more I study about this great man and read the Book of Mormon. He could not have written it. 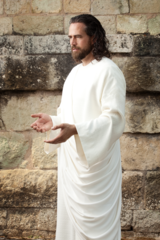 His whole purpose throughout his life was to testify of the Savior, Jesus Christ. My life has been richly blessed because of this great prophet. Thank you Sister Smith for the wonderful updates and news from the mission. 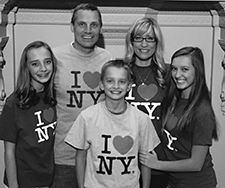 We love to read about the wonderful missionaries and your beautiful family. Thank you for your strong and loving testimony, its such a strength to all. I love seeing my son elder Horner in these weekly updates. .thnku! !